Corrie Cortez and her one-year-old son Arlo are huge Sesame Street fans. They try to catch an episode every other day. 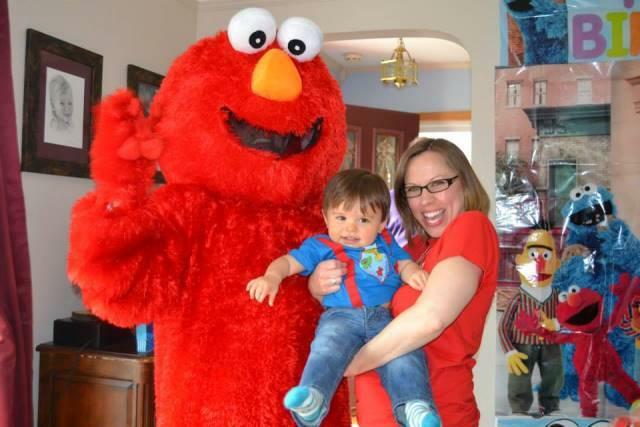 Arlo's favorite muppet is Elmo; Cortez says her son said "Elmo" before his said "mom." She says he also loves the Count's Number of the Day song, he likes to stomp his feet to the music. So yeah, Arlo and his mom know their way around Sesame Street. Cortez says she initially had some reservations about letting her son watch television at such a young age, "but whenever we do watch, we are always sitting down with him, talking about what's on." She says they don't use it as a babysitting tool but rather as "a learning tool." And any parenting guilt she might have had went right out the window when she heard about the new Sesame Street study that says muppets make kids smarter. Kids who watched the PBS show were more likely to stay on grade level all the way up to high school. Phil Levine is an economics professor at Wellsley College, and one of the authors of the new Sesame Street study. He says the it shows that Sesame Street has long-term educational benefits similar to those of Head Start, the preschool program for at-risk kids, especially for "boys, African American children and for children who grew up in economically disadvantaged areas." When the show began, only around two-thirds of the U.S. population lived in locations where Sesame Street could be received on their televisions. Of the 192 stations airing the show when it was introduced, 101 broadcast on UHF channels and the rest on VHF channels. UHF signals were inferior and many households did not own a TV that could even receive those signals. This created a technological divide in who could watch the show. Our empirical approach makes use of this divide to investigate whether children living in places with better access to the show saw relative increases in their educational performance, as compared to children living in places where access to the show was limited by technology. The study found that preschoolers who had better access to Sesame Street were more likely to stay at the appropriate grade-for-age level than their peers who had poorer reception to the show. Among children who were preschool age when the show began, the data show a noticeable gap: children in strong reception locations increased their likelihood of remaining at the appropriate grade level by 1.5 to 2 percentage points. Overall, moving from a weak to strong reception county reduces the likelihood of falling behind appropriate grade level by approximately 14 percent. Levine says the study was able to track academic gains through the age of 15, but he and his co-author, University of Maryland economist Melissa Kearney, were "unable to find evidence of substantive improvements in ultimate educational attainment or labor market outcomes," as described in the study itself. But as we pointed out earlier, the academic gains through elementary school were noteworthy and similar to those of Head Start. 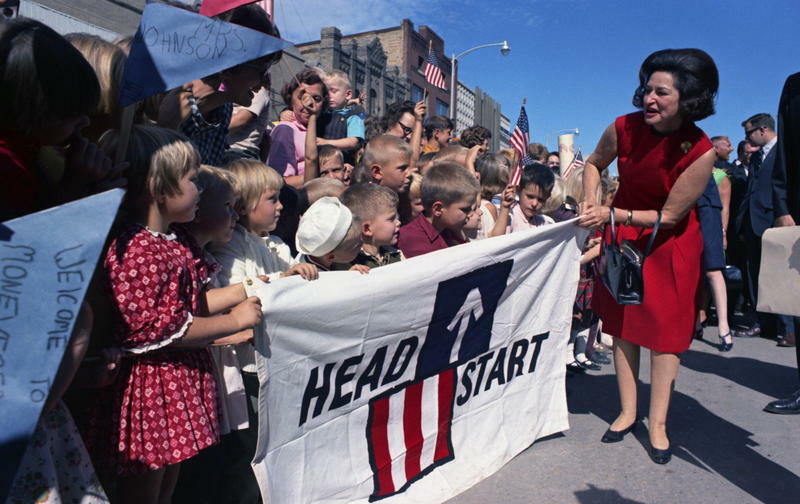 Now, Head Start costs more than $7,000 per student a year, whereas the estimates from the cost of Sesame Street "from when it first started (in today's dollars) was ... like, five dollars," says Levine. "In terms of the return you're getting on that investment, it's pretty big." Now, Levine is in no way suggesting we get rid of Head Start, or preschool in general; that wasn’t the point of the study. He says it’s impossible for a TV show to replace the benefits of a good teacher. Preschool teaches kids how to go to school, not to mention all the social interaction preschool provides. Rather, what Levine finds interesting about the study is what it says about TV and online media as a teaching tool in general, and he wonders if it can be applied to high school and college students. He thinks of Sesame Street as the first ever MOOC, or massively open online class. There's not a lot of data on the effectiveness of MOOCs at this point, and what little data there is don't look promising, but Levine thinks his study indicates that "educational content has the ability to be delivered electronically in a way that can work." For instance, let’s say you’re in the ninth grade and you’re struggling with Algebra, your teacher would help you during and after school, but then might suggest you go home and watch a video online. "So it's supplemental to the instruction that the teacher is doing in the classroom," says Levine. The key word being supplement, not supplant.